A 22mm wide-angle pancake lens with EF-M mount - ideal for stunning landscapes and everyday reportage with the EOS M. An f/2.0 maximum aperture delivers great low light shots in stills and movies. 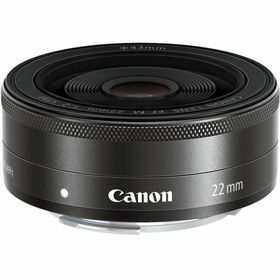 Ultra slim and lightweight, this 22mm wide-angle fixed focal length pancake lens for the EOS M offers discreet shooting that’s ideal for everyday reportage. The wide angle fits more in the frame so you can capture more of a scene in every shot and delivers beautiful landscapes and great group photos. Easy to carry wherever you travel, the lens features an ultra slim, lightweight body with stylish aluminium exterior and an EF-M mount to match your EOS M.
The EF-M 22mm f/2 STM delivers brilliant results in low light situations thanks to a wide maximum aperture of f/2.0. It allows you to capture the natural atmosphere of evening and night time scenes in stills and movies without using a flash or a tripod, giving you the freedom to effortlessly shoot exceptional handheld images in any lighting situation. Recording high quality movies that are always sharply focused is easy with Movie Servo AF. It uses an inner focus and STM stepping motor technology for silent continuous focusing in movie mode, so your movies are smooth with reduced blur. Crisp, high-contrast undistorted image quality is assured even when shooting in low light thanks to aspherical lens elements, which correct any spherical aberrations that might spoil your images. The lens also features Super Spectra coatings that help ensure accurate colour balance and high contrast as well as suppress flare and ghosting for beautiful images in any lighting situation. 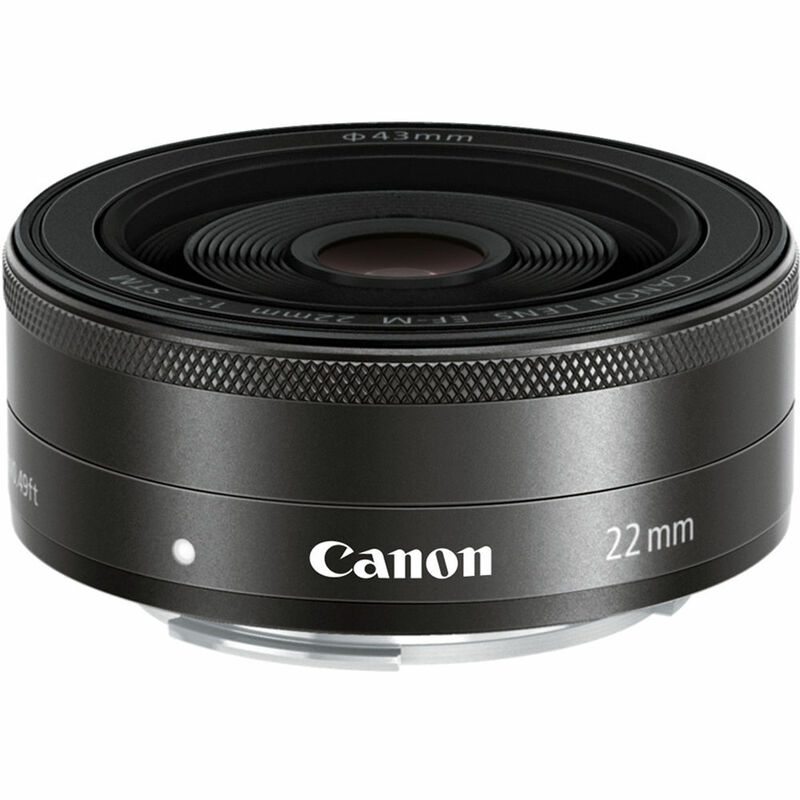 For professional looking images with great impact the EF-M 22mm f/2 STM lets you create beautiful images with smooth out-of-focus backgrounds that emphasise your subject and remove distractions.